West Ham will have to pay midfielder Samir Nasri an extra £20,000-a-week if they are to retain his services for another year, according to reliable source Claret & Hugh. 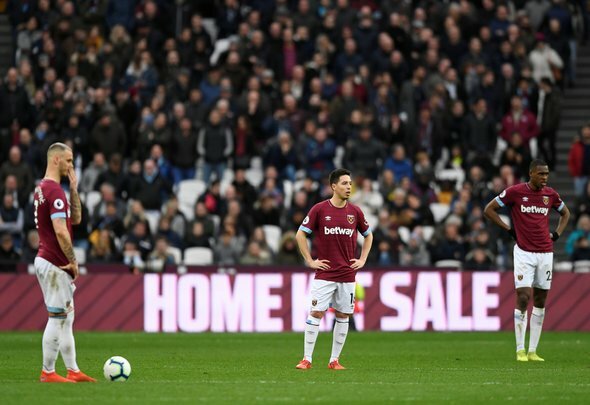 The Frenchman is currently on a deal worth around £50,000-a-week, plus a £20,000-per-appearance, after joining the Hammers following a 12 month ban for a drug related issue. According to the report, however, that weekly wage will rise to a basic £70,000-a-week should the Irons choose to exercise an option in the 31-year-old’s contract to extend his stay at the London Stadium. This seems like a bit of a no brainer really. Nasri has come into Manuel Pellegrini’s side and has done a wholly impressive job. For a player that missed a year of action, he has looked sharp, and not in the least bit rusty, and the creative spark that has made him such a top player for so long is celery burning as bright as ever. Even at £70,000 a week, a player of his quality is good value for money, and if they were to let him go and sign a replacement it would probably cost them an awful lot more. At 31, Nasri may just be beginning to approach the twilight of his career, but he’s got another couple of years in him at the top level at least, and he seems genuinely grateful for the chance that the club have given him after a difficult spell on the sidelines. It makes a lot of sense, and West Ham shouldn’t hesitate to do the deal.